At Tamani Villas we have 2 incredible beautiful absolutely private Ocean Front villas. Each Villa has own pool. From its very inception, Tamani Villas was always going to be more than a luxury travel destination. All profit from your stay at the Villas directly channeled to Tamani Foundation. Tamani foundation is a non-profit organization. We have Tamani School with 175 Students (Nursery, Primary and Adult education). The Villas located just on the beach. You can take a reef walk if it's low tide, enjoy cycling or snorkeling in a shallow waters. 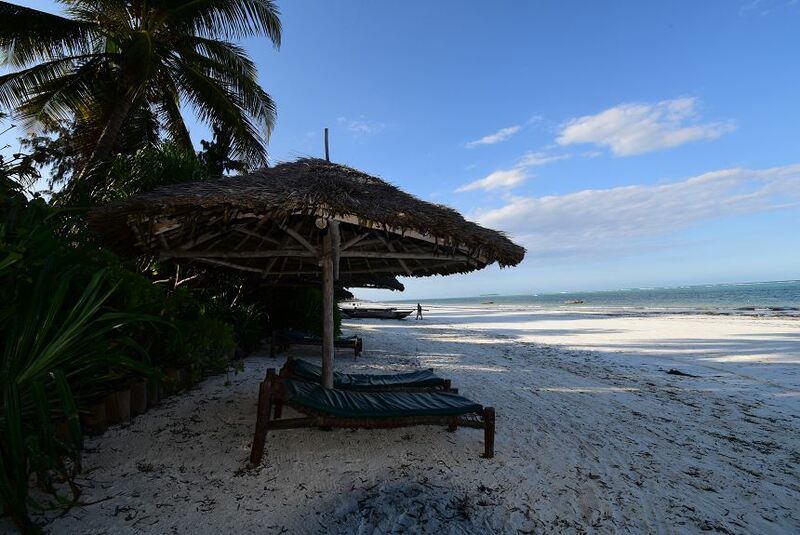 When it's high tide we sure you will lie on a sand like a star fish, but you also can choose visit Mnemba Island Conservation Area, which is just in front, take our African Cooking class or any of many excursions available. We can also host your wedding, proposal or any special event. Note that Tamani Villas are strictly non -alcoholic site BECAUSE WE RESPECT THE CULTURE AND CARE ABOUT YOU, but in case of emergency, there is a bar next door.